Penn Metal Fabricators, Inc. uses a Daewoo Puma 240 MB to turn down and bore round stock. 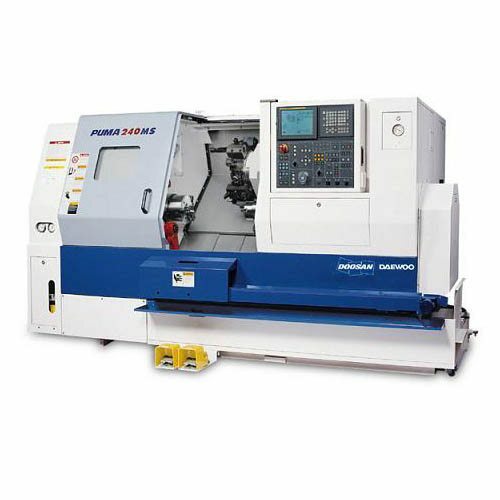 This Lathe is connected to the CAD/CAM system and has the capability to turn up to 2-1/2″ diameter rod up to 20″ long with a repeatability of .00006″. The lathe can hold up to 12 tools which allows you to perform up to 12 turning operations at once or in a certain sequence. This machine also has a MTA International V-65LE 48″ CNC controlled bar feeder.